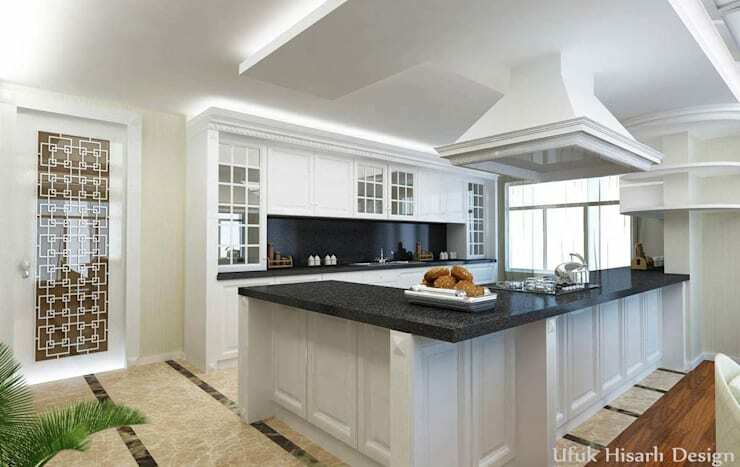 If you want to take some inspirational and practical ideas for ease of use in your kitchen decor then this guide is a rational solution to your problem and serves as the right spot for learning. The guide introduces you some practical ideas that earn more spacious fields, add functionality and are also easier to coordinate with the system usage. Let us go through this list of ideas and solutions that will become a boon for your kitchen storage. Switchable and expandable kitchen countertops come out to be a very useful item in terms of gaining space in the kitchen counter. They can be user to prepare food, beverages, cutting veggies or other items while cooking and can be turned off whenever not needed. 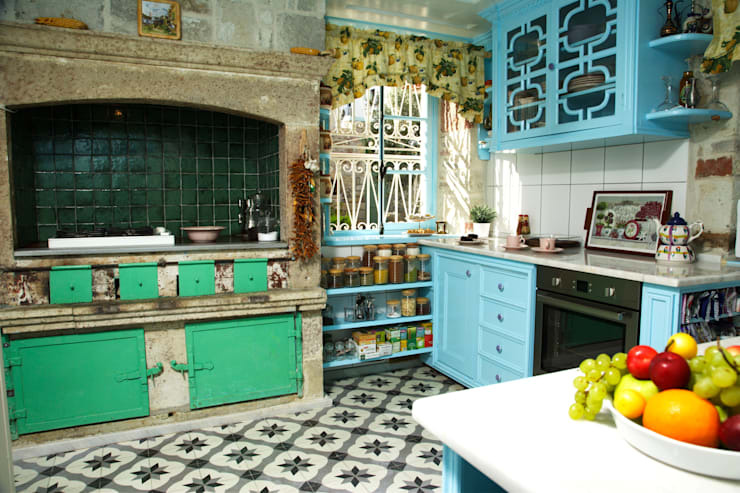 The kitchen tends to store several items and junks, that are smaller in size and used regularly, than any other part of the house and thus, they fall amongst the indispensable element for a practical system. This easily mountable open rack spice table in different color might be preferred. 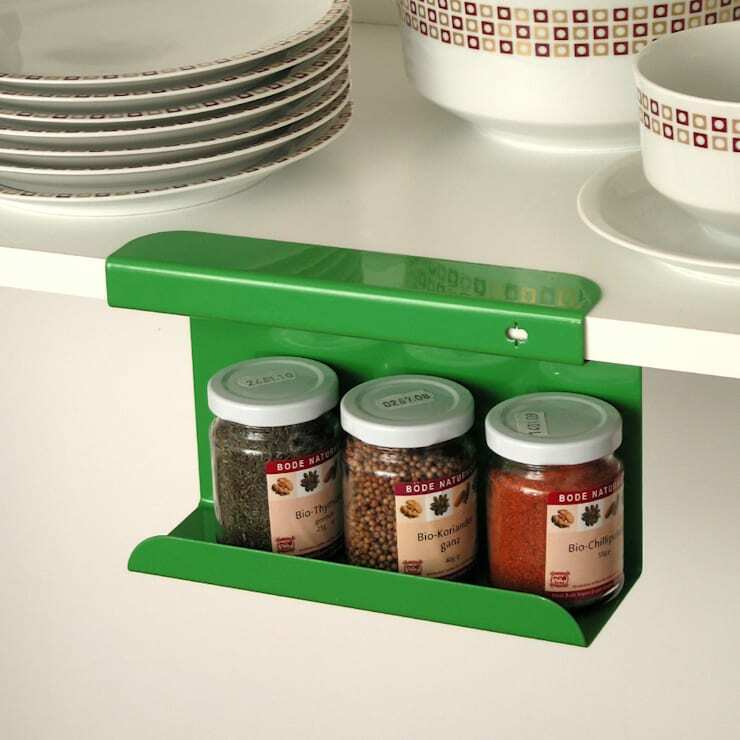 It offer practical as well as easy to use opportunity that help you save the spice space from the counter. In a small and narrow kitchen, functionality ratio might appear low in the nook and corner areas. 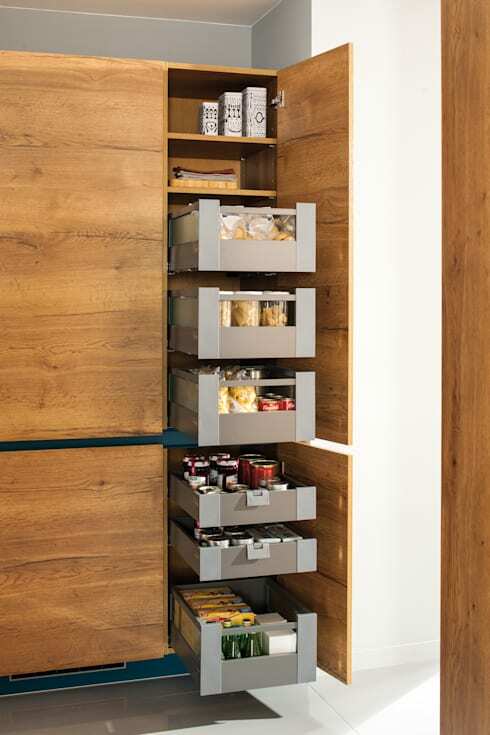 However, if rationally designed from a functional perspective, it can become a practical and lovely space as a small corner drawer for the utensils. 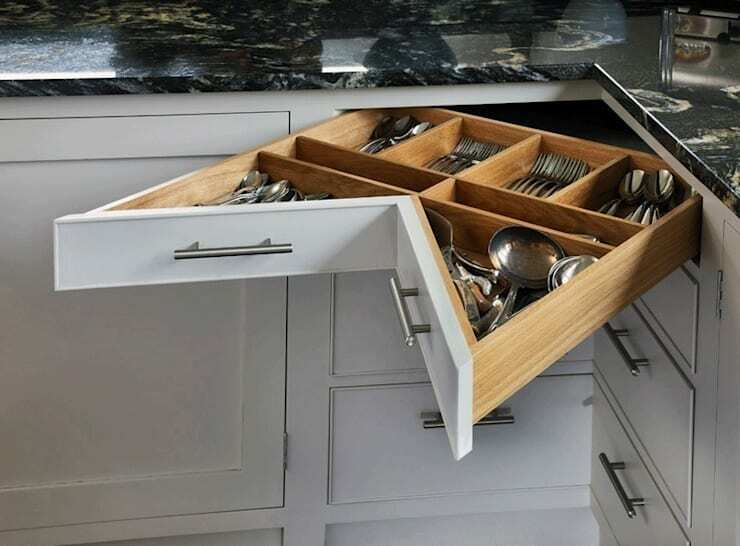 To be used according to the needs of any and all kitchenware, cutlery drawers corner can create practical solutions. Without taking up space in your drawer or closets, hangers, if used in a practical manner, are quite useful and ordinary at the same time. 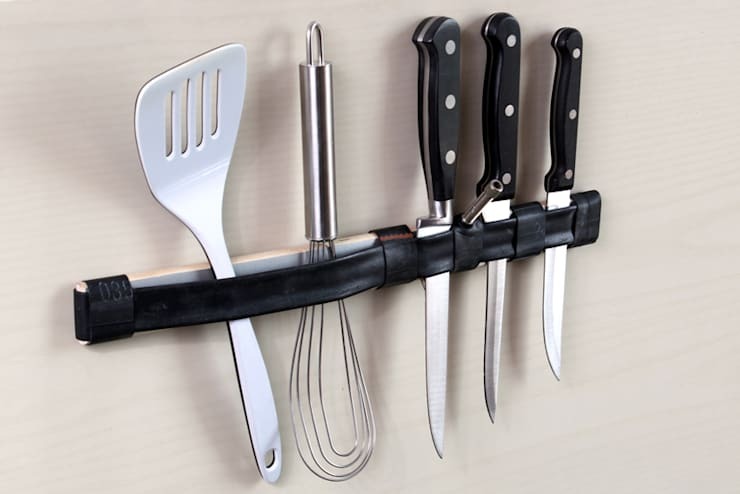 Without a need of mixing up the entire drawer of cupboard during cooking, you can easily get extra and well-organized space to take the hanger for placing knives, spatulas, whiffs, and bigger spoon. 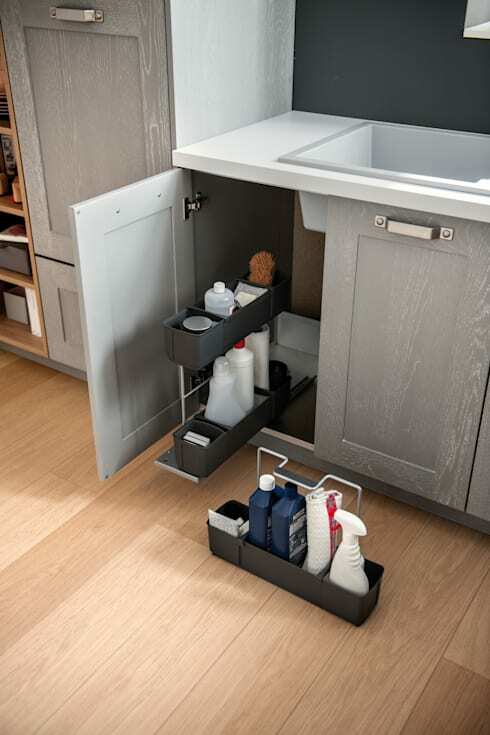 Take advantage of smart drawer to assess the remaining free space under the kitchen sink. You can use this space efficiently to the ideal arrangement of shelves and drawers for cleaning products. This drawer model that offers you storage facility for kitchen products as per the size and need and still very much attractive for installation. Place your jars, spices, legumes, soup, noodles, canned spices and others products together that have similar characteristics. 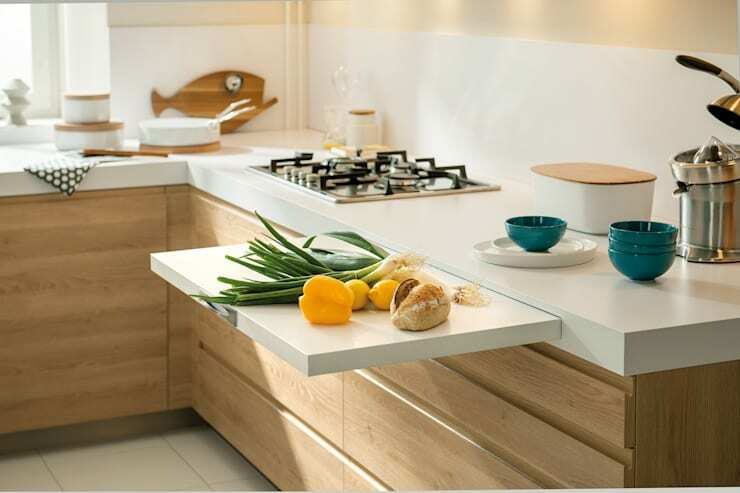 Sliding or opened tables provide practical ease of use, especially in a small kitchen. They don't take up any space whenever not needed and can be easily closed by pushing the sliding table top or you can gain additional space by removing the wing panel. A portable trolley that allows you to store materials within and can be stored under the kitchen counter is also a great idea for many of us. Kitchen Islands are diagnosed for quite practical uses and extended counter services save space and material in both the frame. 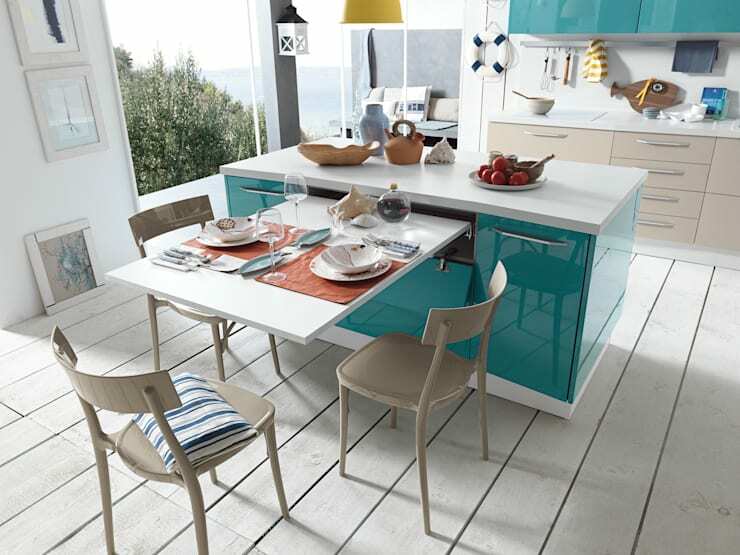 The kitchen planners at homify have different styles designed for regular kitchens. To get a rational design, space is important for smaller kitchens. Having a space saving table top that is apt to store the cutlery and other crockeries to be used while dining will do its bit. Do not forget to save space on the ground floor and wall decor for your kitchen. Fill in the gaps with functional shelf design. Decorative shelf with a highly functional solution for small kitchens, as well as the presentation, moves to ease of property. Get more ideas for your kitchen here. Which of these ideas do you think is the best? Let us know!